John Clark with a look at how YA female protagonists have changed as I look at three recently published books. For years, I’ve joked that Nancy Drew, but Tom was Swifter. That’s not so true in contemporary YA fiction. 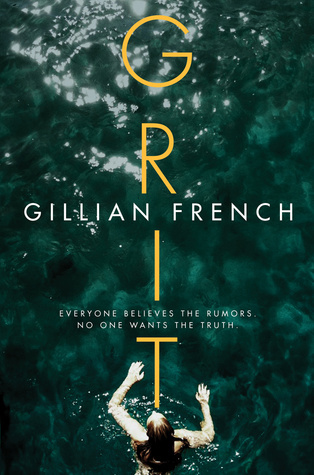 Take Darcy Prentiss, the seventeen year old protagonist in Gillian French’s new book Grit. She’s had to deal with the death of her daredevil dad during a beer-fueled stunt while building the Penobscot Narrows Bridge when she was little. In the story, she’s trying to earn enough money raking blueberries to cover school expenses while drinking herself oblivious at night to blot out all the pain created by some foolish mistakes that led to a less than stellar reputation, the constant stream of trashing from her aunt and the bleakness she sees whenever she looks at her future. She’s also hiding her cousin Nell’s secrets in an effort to protect her from even greater emotional pain. Then, there’s the unsolved mystery surrounding the disappearance after a party on the blueberry barrens of her former best friend Rhiannon a year ago. Things become even more stressful when she’s anonymously nominated as a contestant for Bay Festival Princess. Following her as she tries to hold onto some personal dignity, protect Nell and unravel the puzzle surrounding Rhiannon’s vanishing all make for a dandy first book. Gillian gets the whole blueberry culture Down East as perfect as possible, while giving us a strong girl who you can find walking the corridors in pretty much every high school in the ‘other’ Maine. 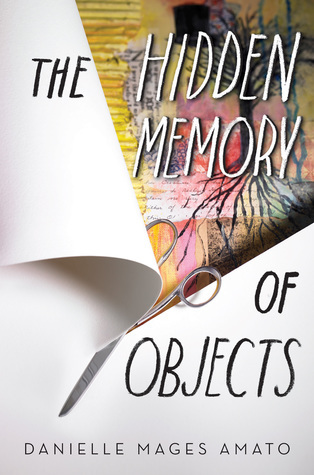 Danielle Mages Amato’s debut novel, The Hidden Memory of Objects, gives us a most unusual heroine in Megan Brown. Her older brother is dead, but what caused his death is at first murky and mysterious as well as unexpected and devastating to her and her parents. Tyler sheltered her from plenty of the slings and arrows that accompany being a somewhat shy fifteen year old on the fringes of Washington DC power circles. 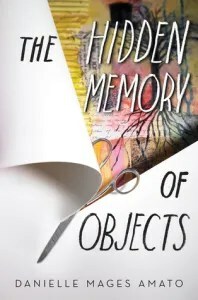 After falling into a period of emotional numbness, She starts snapping out of it when physical contact with important possessions her brother left behind create intense pain, followed by movie-like images of events that may have happened to him. When she begins realizing she’s not crazy, she enlists the aid of Eric, a slightly odd classmate who is intrigued by her visions. Their search leads to Nathan, another teen who claims he knew her brother Tyler and worked on a project with him. Megan’s so intent on digging into the mystery surrounding Tyler’s death, she can’t seem to realize how shabbily she’s begun treating Eric. 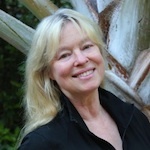 Watching her balance the relationships with the two boys and get them right is impressive, as is her dogged determination to unearth the real cause of Tyler’s death. Was it suicide, accident or a fatal overdose? As she inches nearer the truth, she meets Dr. Brightman, a noted expert on Lincoln’s assassination after finding a copy of his book among her brother’s possessions. He shares her strange talent and is eager for her to work with him. Add in more flashbacks, treachery, underground parties all over the DC area, a very powerful politician with a dangerous obsession and the three teens crashing a gala fundraiser at Ford’s theater and you have a finely crafted mystery featuring a gutsy girl and some supernatural elements. 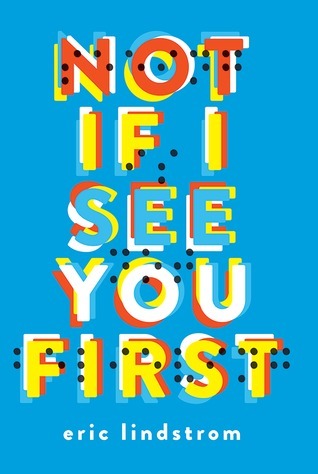 Eric Lindstrom’s Not If I See You First (another debut novel) gives us Parker Grant who has some pretty strict rules to live by, topped by Rule #INFINITY: There are NO second chances. Violate my trust and I’ll never trust you again. Betrayal is unforgivable. She has good reason to need strong rules. When she was seven, her mother drove after drinking too much wine. She was killed and Parker lost her vision. Three months ago, she woke one morning and found her dad dead in bed. Because an empty prescription bottle was found near him, the insurance company refused to pay, leaving her in a real jam. As a result, her aunt, uncle and two cousins moved 1600 miles and took over the household. Parker has a few resentments toward them, but is still so numb from the loss of her dad, she’s unable to sense how those around her are feeling, even her best friend Sarah. What Parker believes is a workable survival mode begins to fail her when she discovers that Scott, the boy she loved and first kissed when they were thirteen, is attending her high school as a result of two schools merging. It was his perceived betrayal that started her retreat from the world and caused the creation of Rule #INFINITY. Her way of coping with stress and feelings is to run at the athletic field early each day. She’s adept enough at navigation so she can get from her home to the field, run herself into an endorphin high and get home without being seen. At least until the track coach discovers her and how well she performs. Faced with Scott being back in her life, coupled with the hugely frightening chance to run track for her school and the un-thawing of her frozen emotions and buried grief hurts like crazy. However, Parker’s pretty strong and once she is honest with herself, watching her tackle all these challenges makes for a compelling and heart-felt story. 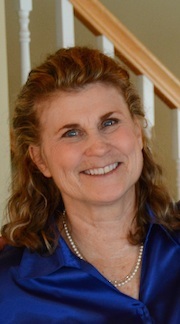 This entry was posted in John Clark and tagged Blindness., Danielle Mages Amato, Eric Lindstrom, Family secrets, Female protagonists, Gillian French, Grief, John Clark, Young Adult Fiction. Bookmark the permalink. They all sound interesting, John. Thanks for sharing. It is heartening to hear about strong female protagonists that are able to handle the challenges that life and family impose. I enjoy books the provide a window into the thinking processes and emotions that promote resilience. 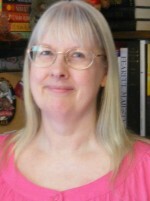 Great post, John…You are such a stellar book reviewer! I don’t usually read YA, but you make me want to.